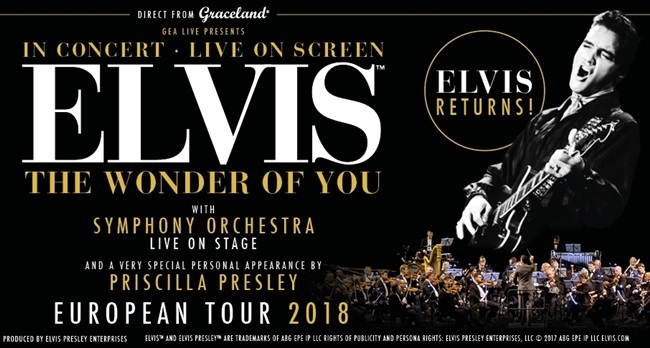 "Moments Of Promise, Moments Of Frustration"
The first 'Elvis & the Royal Philharmonic Orchestra' concert tour initially kicked off in England back in 2016. It was amazing that almost 40 years after his death, Elvis Presley was still getting fully-deserved standing ovations at packed arenas. Two years later the same "Video Screen" event has been toured around the world with various "Philharmonic Orchestras" filling in and with Jerry Schilling sometimes featuring as the "special narrator" in place of Priscilla. Initial reviews suggested that it was "So realistic fans felt Elvis really was in the building!" while some Elvis fans came away disappointed especially when compared to previous "TCB Band" events. 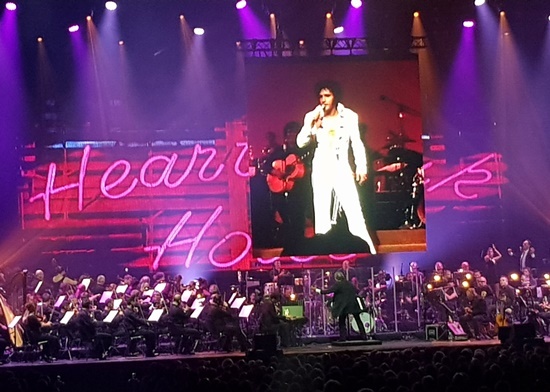 Arjan Deelen reviews the screen show ‘Elvis in Concert’, which took place in Copenhagen, Denmark on June 4th, 2018. I was in two minds about seeing this, but I decided to go in and see it anyway. It’s not often that you get to see Elvis on the big screen, together with 3,000 fans. I did have some reservations about the whole orchestra thing, and so did my buddy Christian, but we went in with an open mind anyway. The first set was a bit of a rough ride. During the first few songs, the balance of the sound was off. Elvis’ voice sounded shrill at times, while the overall bottom of the sound was booming a bit too much. This is probably the place nor the time to go into yet another one of those RPO discussions, but I felt that some of the orchestral embellishments were a bit unnecessary and in fact even distracting. Most of these songs were originally written and produced as simple pop songs, and these elaborate orchestral arrangement just don’t work for these songs. Worst offender during the first set was ‘Fever’, which they tried to give a cool jazzy vibe. It was a classic mismatch. The band and orchestra sounded best during those songs were they basically stuck to the original arrangements, e.g. ‘You Gave Me A Mountain’ and ‘Just Pretend’. But even on those songs, I missed the ‘thrust’ of Elvis’ TCB band, which as per Elvis’ own words was “the backbone of my whole show”. The orchestra and band sometimes lacked definition; they were not as distinct and tight as the originals, and as a result were a bit mushy sounding at times. The backing vocals were fine, but they had ‘London West End’ stamped all over them. Some of their synchronized movements were a bit cheesy. Visually, the show was fine, though unspectacular. I’d heard some criticisms that some of the footage used was not as good as it should be, but I do not concur with that viewpoint. In fact, I thought that especially the Aloha footage looked really good. Priscilla came on stage twice during the first part. She seemed nervous and ill-at-ease, and she sounded out of breath, oddly enough. But when she spoke of Elvis’ music, she seemed sincere, and it was clear that her presence was appreciated by the audience. They listened quietly as she spoke. At one point she asked us to listen to three songs in a row without visuals, ‘Don’t’, ‘It’s Now Or Never’ and ‘Can’t Help Falling In Love’. She wanted us to listen to the quality of Elvis’ singing. In itself, that was admirable, but as these songs were played, you could tell that people were getting impatient. The atmosphere in the hall had been a bit low-key during most of the first set, mostly because of pacing problems – too many ballads. But by now it was getting critical. I’m sure it didn’t help that it was stinking hot inside the hall. The summer had arrived in Denmark, and clearly, a big concrete hall filled with several thousand fans in it was NOT the place to be tonight. Even Priscilla commented that she had difficulty dealing with the heat. The first set concluded with ‘How Great Thou Art’ and ‘Bridge Over Troubled Water’. Solid vocal performances by EP, and by now the sound in the hall was fine. Still, I didn’t know what to think of the show at this point. I didn’t really get a concert feeling and felt detached from what I was experiencing. Clearly, I was not the only one, as the audience response had been lukewarm thus far. The second set started on a strange note, as Priscilla went to the front row, together with her security. She tried to engage in some banter with the fans, but the Nordics lived up to their reputation by being polite but cold as ice. Priscilla’s questions came across as studied and forced, and at no point was there any spontaneity or spark in this talk session of sorts, and after a few awkward minutes, it fortunately came to an end. I ended up feeling a bit sorry for Priscilla, because she was really trying, but at the same time you could tell that this is just not her thing. From this point onwards, the show got better. ‘Trouble’ / ‘Guitar Man’ was promising, and the segment with the classics was a lot better than I thought it would be. I particularly enjoyed the simplicity of ‘Love Me Tender’, the excitement of ‘All Shook Up’, and a particularly well-produced ‘Are You Lonesome Tonight’ segment. The pacing was better, the lightning & visuals were better and more dynamic… it all gelled better and made for a much better live experience. For the most part, the original arrangements were followed, and as a result the music sounded more natural and organic… Not that contrived RPO stuff. But, things went back to the mundane again for the final segment. The band & orchestra seemed a bit unsure on ‘American Trilogy’, and ‘Suspicious Minds’ was performed with no balls at all. It was like the orchestra was limping along behind Elvis… pathetic. 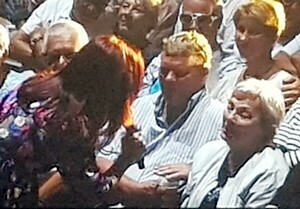 But at least there was finally some life in the audience. 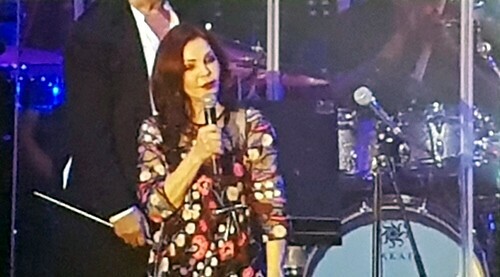 Priscilla spoke to the audience one last time, and the show ended on a good note with ‘If I Can Dream’. It was a bit of a strange night. There were moments of promise, of greatness even, but the majority of the concert was pretty frustrating. The Elvis footage & audio was great, obviously, but this whole RPO theme is built on a false premise, and the concert as a whole suffered because of that. Elvis was a small rhythm section guy. He made his best music that way… SUN, early RCA, post-Army, American Sound… Elvis at his finest. I certainly don’t want to take anything away from the fine musicians that were on stage tonight in Copenhagen. They did a solid job, but it’s those syrupy arrangements that are letting the whole thing down. I think the time has come to rethink the concept and come up with something new. Something that is organic and true to Elvis’ music. Something that showcases the man’s great voice and artistry. He deserves it… and we deserve it. How ‘bout it, EPE? 'ELVIS: That's The Way It Was & This Is How It Is Today': Elvis is no longer with us but his spirit lives forever. Elvis fans always discover something quite magical when they get the chance to “Walk-a-mile-in-his-shoes”. Graceland, when not overrun by crowds, feels very special indeed. Standing in the quiet you can almost feel the spirit of Elvis still inhabiting his home. The feeling in Memphis’ Sun Studios can bring fans to tears. 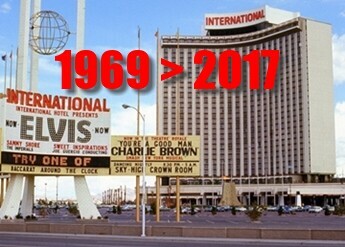 One of the places that Elvis spent a large part of his life is the Las Vegas Hilton Hotel – now the Westgate. Elvis performed a stunning 636 concerts in the Hilton showroom and the impact of his incredible legacy can still be felt. Watching the classic movie ‘Elvis: That’s The Way It Is’ you can feel the power of his spirit. Arjan Deelen recently returned to the classic hotel to investigate “Elvis Hotspots” and discoved that behind the showroom stage is relatively unchanged. Go here to Arjan Deelen's fascinating investigation. RPO tours WITHOUT the RPO: Have EPE lost the plot completely? : As EPE is about to embark on its latest venture, the 'Royal Philharmonic Orchestra' (RPO) tours, I think there's some questions that need to be asked, and some points that deserve to be raised. The 2015 album of 'Elvis with the Royal Philharmonic Orchestra' was a massive-seller both in Europe and Australia. 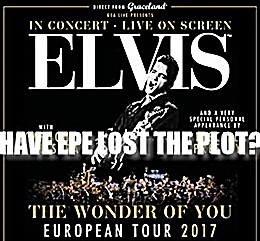 To capitalise on this new chart success EPE have planned a worldwide tour featuring "Elvis" on stage backed by a 40-piece orchestra. While 'If I Can Dream' was a huge success with the general public, the CD divided opinions among the hard-core Elvis collectors. The new "Elvis with the R.P.O" tour is bound to do the same. However EPE has decided to save money by apparently using local "Pick-up" orchestras instead. 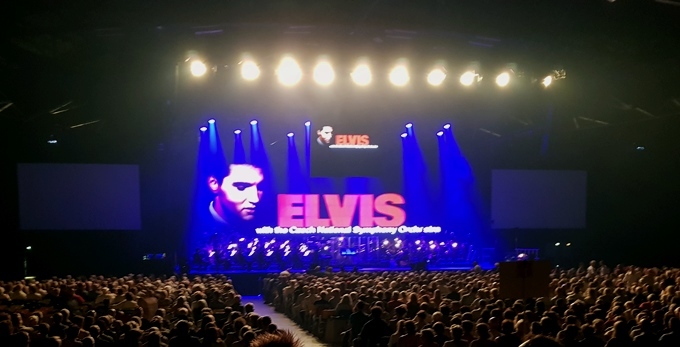 Go here as EIN contributor Arjan Deelen looks back at EPE's previous "Elvis Tours" and asks some tricky questions about this new Elvis - RPO money-making venture. And please send us YOUR comments to be included in the debate. 'The Wonder Of You' Elvis with the RPO - In-depth CD Review: It is forty years since Elvis Presley entered a recording studio and he seems very reluctant to record anything new. So in terms of releasing a "new" album of Elvis material the topic has always been a tricky one. 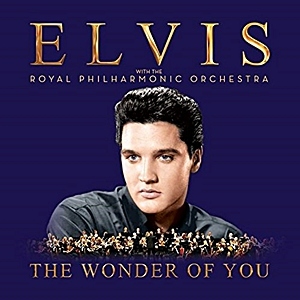 After the massive 2015 success of "Elvis with The Royal Philharmonic Orchestra" and ‘If I Can Dream’ the follow-up was inevitable and 'The Wonder Of You' recently achieved Number One in the UK album charts. But can a follow-up really be as impressive - and do the true Elvis fans have to approve of these on-going fake "Revisions"? And HAVE YOUR SAY - what do you think of the new album? Are we wrong in our opinions? 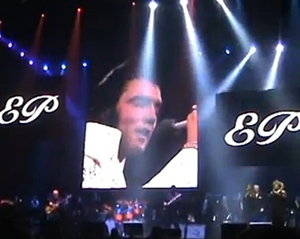 'Elvis In Concert ROCKS Copenhagen in 2012: An insider's review of the new 'Elvis Presley In Concert' tour. Tour producer Arjan Deelen was at the Copenhagen March 24 performance. This year bassist Norbert Putnam has also joined the TCB Band regulars, bringing some new energy to the shows. However there are rumours that EPE will soon replace the original band with younger performers! James Burton stated that "This is such a wonderful show. Elvis would have loved it. And now with Norbert in the band, the show is better than ever. It’s a wonderful tribute to Elvis. We all want to continue doing this show for the fans for as long as we possibly can". 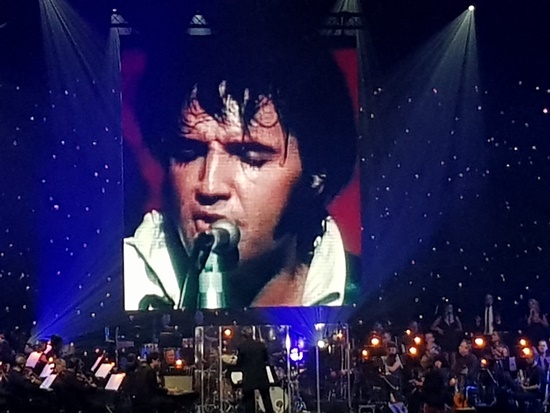 In this informative review Arjan Deelen talks with the TCB Band and explains just how well the 'Elvis In Concert' tour still ROCKS - as well as wondering how long EPE will keep the TCB Band as part of the tour. NOW UPDATED with NEW Concert Videos PLUS YOUR FEEDBACK. Click here to read the stories the TCB Band have to tell - and also your comments on the future of 'Elvis In Concert'. See EIN review of 'Young Man With The Big Beat'. See EIN review of 'I Believe' BMG Gospel set. Is 'From Elvis In Memphis' the only Elvis album you need to own? Did Elvis Record 'Tiger Man' At Sun?